With Skype Launcher you are not bound to one Skype account system. 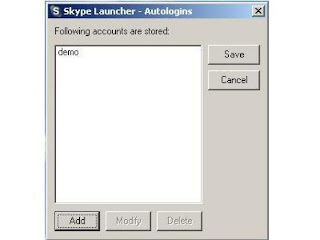 Skype Launcher enables you to use all your Skype accounts at the same time, machine, and session. It also supports 64-bit systems.